I'm inclined to interpret political actors' motivations in such a way that they aren't going to throw away something good they've been working on for years in a fit of anger at other people. But it could happen, and we have to worry about that possibility. 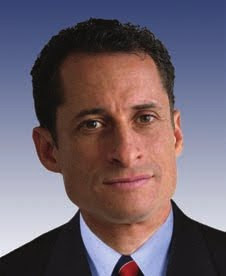 To wit: commenter ikl's firsthand account of Anthony Weiner and Yvette Clarke's town hall meeting. 6 is the most hopeful thing here, as it suggests that Weiner isn't opposed to walking the path of reason and accepting Senate Bill + reconciliation vehicle, if led to it by the House leadership. But all in all, this is pretty dismal. Here it's important to keep in mind the most important reason why we need to pass some comprehensive bill or other. Trying to pass comprehensive health care legislation and failing results in your party being too terrified to approach the issue again for 15 years, and then crawling back with a proposal half as strong as what they had the last time. That's where we are now, relative to 1994. If you pass a flawed proposal, by contrast, you can spend the next couple decades slowly improving it until it's awesome. Social Security, as originally passed, was deeply unfair to women and blacks. But we fixed those problems, and now we have a program that benefits them tremendously. It's horrible foolishness to think that we'll get a better bill sometime soon if we lose this one. In a spin war over why the bill died, the progressive message "It was too conservative" just isn't going to beat the combined centrist and conservative message "It was too liberal", because centrists and conservatives together have way more media resources than progressives. Most people (including Democratic moderates whose votes you need) are going to think the bill failed because it was too liberal, and reject ambitious progressive proposals on health care and possibly other issues. And then you wait at least a decade for Democrats to work up the courage to try again. So the thing you have to do is pass the bill. Mainstream conservatives have to be really careful about attacking existent universal social programs (Republicans can't explicitly hate on Social Security and Medicare -- they have to be sneaky and pretend they're saving the programs) and centrists worship things that are victorious. This moves the landscape of public debate left, and enables you to pass further good stuff in the future. If you don't like the bill that much at present, think about the good stuff you can do with these spoils of victory. It's that, or crawling around for 15 years with nothing while pundits laugh and Republicans laugh hardest about the stupidity of being an ambitious progressive health reformer. I think Grijalva and Weiner will eventually get on board with the Senate bill plus a reconciliation vehicle and save us from that circle of hell. But if they don't, they deserve to be in the one below it, where they and Ralph Nader are chewed for eternity for bringing horrible disaster on all of us in a fit of shortsighted anger. I agree something should be passed now. It can always be improved. There should be SOMETHING even congress can agree on from the Senate bill! If ever I wanted to give a standing ovation to a blog post, this is it. Bravo.